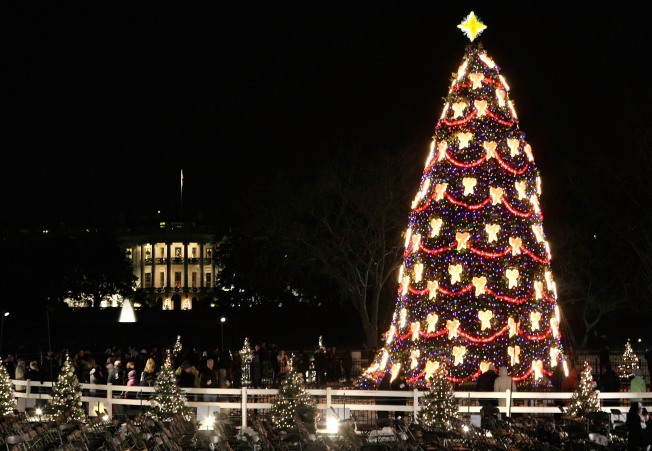 Lighting the National Christmas Tree is an annual tradition of the U.S. President. Alleluia! You don't have to line up on a Saturday morning to get tickets for the National Christmas Tree lighting ceremony anymore. The National Park Service decided to join the 21st Century and use an online lottery for the nearly 10,000 free tickets they're handing out. Of course, if it turns out anything like the Easter Egg Hunt lottery, we're in trouble, but still... no lining up outside for hours in the cold to get a ticket for the tree lighting? Sooo worth it. There is a catch, though. At least 7,000 of those tickets are for standing-room only at the event, which is scheduled for Dec. 3 at 5 p.m. on the Ellipse near the White House. Now all you need is to do is get online and sign up fast!